Take a potential client we had some time back. The business wasn’t doing as well as it had, even adjusted for market conditions. So a partner reached out to us. He knew he needed help, as did all the other partners. We learned during our interview that they had no real inventory system, which included not knowing what anything actually cost. They had employee issues. They had internal control issues. Let’s just say they had issues, all which we could fix with time and effort. All which would have increased top-line revenues and the bottom line. Icing on the cake is that they were discussing exit strategies that were anticipated in five to ten years. Thus making positive steps necessary now so they could sell their company at a multiple that was respectable based on a value that was real. So they needed help! Hopefully we would receive the contract, but even if a competitor won the account, they would receive the help they truly needed. Our problem was we were just unable to move the client along in the sales cycle. Calls weren’t being returned and when e-mails were answered by one of the partners they were crass, nasty, derogatory and condescending. The issues normally associated with a difficult sale were absent. This particular partner was contesting money as an issue, staffing, busy season, benefits or any of the normal issues that we as Consultants confront as arguments against going forward (no matter how ridiculous they are in respect to the achievement that could be attained, they have some validity). There wasn’t the game playing of an overworked/overwhelmed individual caught up in fire-fighting unable to see the forest through the trees. This partner was just out and out objecting to the process (not just us). No other issues were raised, although plenty of obtuse questions. 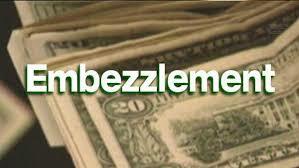 When I spoke to a friend who is a highly respected forensic accountant his first response was embezzlement. I hadn’t thought of it in that respect. His feeling was those who go against the grain for reasons that are illogical and for non-value items are trying to hide something, and in his opinion, it is usually fraud and/or embezzlement. He went on to tell me some allegorical stories to prove his point. We stopped pitching this client and will never know if our collective assessment was correct, bit we saved ourselves plenty of sleepless nights. It always pays to expend energy on what can be a success, rather than a failure. Do you have employees, partners or vendors that behave in a manner that may actually be hiding improprieties? Maybe you should investigate before it’s too late! Previous Post: What happens If a Business Owner Dies, Who Can Access the Web? Next Post: Ever have an Embezzlement Susceptibility Probe?